It's much more than just adding bigger coils! Phil Shain talks about our new Vertial Package Units which incorporate many energy efficiency features in a ground up design. A number of people commented that the COP chart was missing from the Chiller article in the last issue. We have added it into the story from last month if you want to have another look. 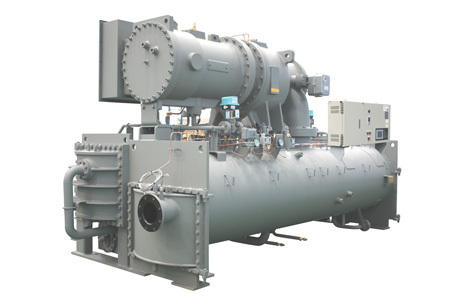 Energy efficient HVAC designs are all the buzz in Australia at the moment with the Carbon Tax on top of steep energy price rises. With an EER of 3.17 our new 70kW Rooftop Package Unit in its standard specification is already the most energy efficient 70kW Package Units on the market. 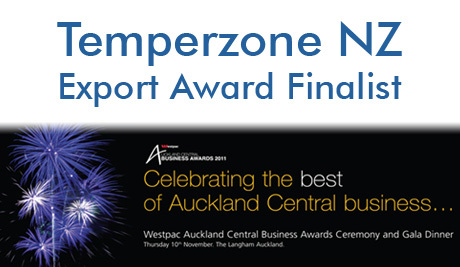 Temperzone Limited has been selected as a finalist of the Westpac Auckland Central Business Awards 2011, in the Excellence in Exporting category. Whether you think the Carbon Tax is the worst piece of government policy in history or an environmental imperative, it is going to happen next year in Australia. Ignoring the impact of carbon pricing would be like trying to ignore MEPS. 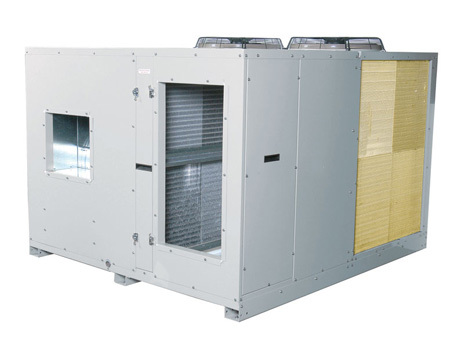 At a time when demand for air conditioning is increasing worldwide, the industry is simultaneously confronted by the global imperative for reduced greenhouse gas emission. No matter how hard we try we cannot escape the fact that at the other end of the power cable from our air conditioning equipment is a power station pumping huge amounts of CO2 into the atmosphere. The New Zealand Herald recently reported that New Zealand's most expensive new residential project is nearly finished so billionaire Russian steel magnate Alexander Abramov can holiday there soon. With maintenance and running costs of their old air conditioning system skyrocketing, the Halekulani Bowling Club opted for a more cost effective future with new Temperzone OPA’s including all the Energy Saving options. And they are extremely glad they did! The picturesque Breakers Country Club located on the NSW Central Coast at Terrigal is now enjoying the rewards of replacing their existing rooftop plant with several new Temperzone energy efficient Eco Plus units.